To this point, Chris Christie has treated the George Washington Bridge closure story as a joke, and national reporters have regarded it as a minor irritation. The public release of e-mails among his staff changes all that. The e-mails prove that Christie’s loyalists closed the bridge deliberately as political retribution, not as a “traffic study” as claimed. They display an almost comical venality bordering on outright sociopathy. And they will probably destroy Christie’s chances in 2016. There was a 2010 Department of Justice inspector general’s investigation of Christie’s spending patterns in his job prior to the governorship, which criticized him for being “the U.S. attorney who most often exceeded the government [travel expense] rate without adequate justification” and for offering “insufficient, inaccurate, or no justification” for stays at swank hotels like the Four Seasons. There was the fact that Christie worked as a lobbyist on behalf of the Securities Industry Association at a time when Bernie Madoff was a senior SIA official — and sought an exemption from New Jersey’s Consumer Fraud Act. There was Christie’s decision to steer hefty government contracts to donors and political allies like former Attorney General John Ashcroft, which sparked a congressional hearing. There was a defamation lawsuit brought against Christie arising out of his successful 1994 run to oust an incumbent in a local Garden State race. Then there was Todd Christie, the Governor’s brother, who in 2008 agreed to a settlement of civil charges by the Securities and Exchange Commission in which he acknowledged making “hundreds of trades in which customers had been systematically overcharged. The swirl of potential and already-proven scandals would be enough to sink an ordinary candidate. But Christie, as I’ve argued before, is not an ordinary candidate. He’s an unusually vulnerable one, especially in a Republican primary. He suffers from a mix of ideological and regional vulnerabilities. Christie’s ideological heterodoxies include, but are not limited to, his decision to accept the Medicaid expansion in Obamacare and his fierce advocacy of gun control, either of which could be disqualifying in a contested Republican primary. What’s more, his brash Northeastern personality may play well among conservatives when he’s abusing Democrats, but probably won’t if and when he’s abusing fellow Republicans. A Republican painting Christie as a philosophical and cultural alien would have a very, very easy case to make. What makes matters worse still for Christie is that his scandals would make him vulnerable in a general-election matchup. Mitt Romney managed to win the GOP nomination in 2012 despite some ideological vulnerabilities — smaller ones than Christie’s, I’d argue — because he was the sole electable candidate in a field lacking any plausible alternatives. The 2016 field already looks to have several plausible Republican contenders. Christie’s path to victory always involved a desperate-to-win party Establishment circling around him. Why would they circle around a candidate teeming with corruption scandals, when they could instead nominate a more conservative alternative with a more attractive personal image? 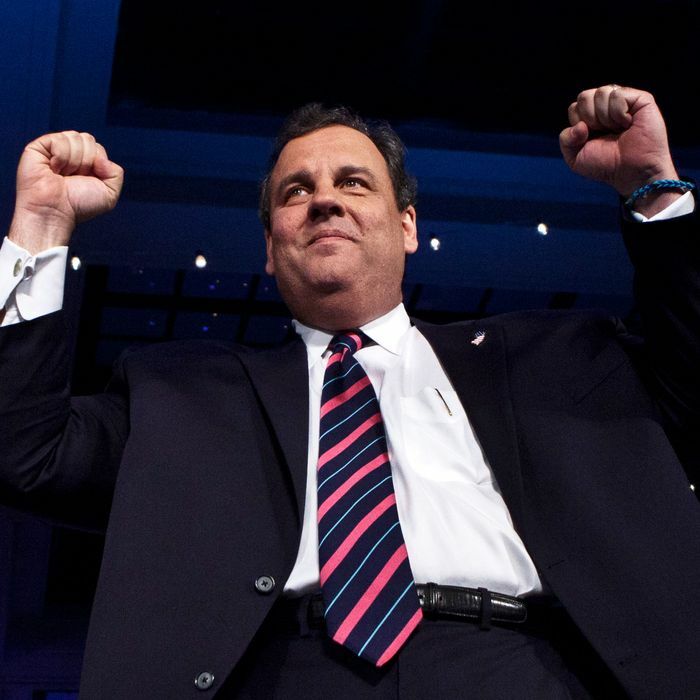 What reason, at this point, does any Republican have to nominate Christie? Update: I linked above to a previous column I wrote expressing skepticism about Christie’s prospects, but it’s a lot to ask readers to click through after reading this entire column, so a couple points are worth pulling out. First, I did express a similar confidence that Mitt Romney had almost no chance of winning the party nomination four years earlier, and I was wrong. I’d argue that Romney won because he ran essentially unopposed. That is, actually running for president isn’t the same thing as taking advantage of the free national publicity and future media career opportunities one can gain by announcing that you’re running for president. The only actual opponent Romney faced in the 2012 primary was Rick Perry, who immolated in a painful, prescription drug-induced haze. Every other serious potential candidate – Paul Ryan, Jeb Bush, Mitch Daniels, Christie – declined to run. Still, Romney did secure the nomination. There’s an implied asterisk attached to all political prognostication: It can’t be done with the same kind of precision that can be applied to policy analysis. Caveat emptor. That said, I do believe Christie faces enormous, interrelated vulnerabilities. 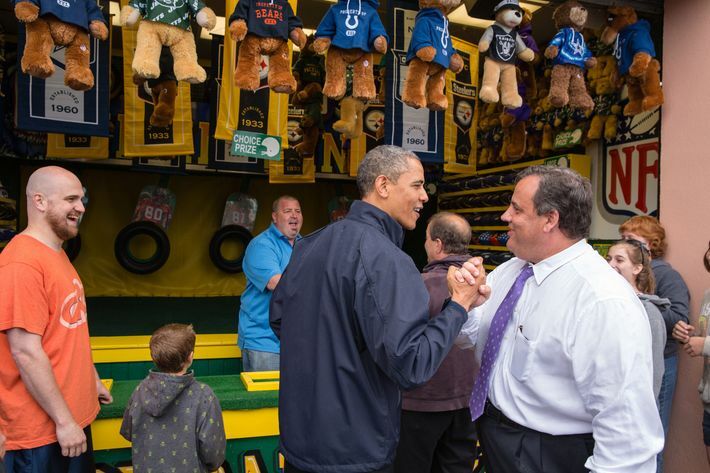 To a non-Republican, Christie’s post-Sandy personal embrace of Obama in 2012, his issue deviations on Obamacare and guns, and his potentially large number of scandals look like separate problems. To a Republican voter, they are many aspects of the same thing: a man who can’t be trusted. Anything can happen, but the combination of obstacles appears, at the very least, far greater than most analysts are figuring at the moment, and at the most, completely insurmountable.